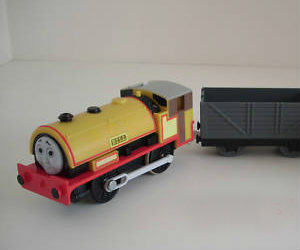 Trackmaster Bill and be purchased as a standalone engine or with a trailer car or tender. Bill the engine and two boxcars is also available to collect. He also has a twin brother called Ben and they are identical looking.